Vela Luka may not have the magic of Korcula town, on the other side of Korcula island, but it's not without its appeal. At the end of a large bay facing west (imagine the sunsets! 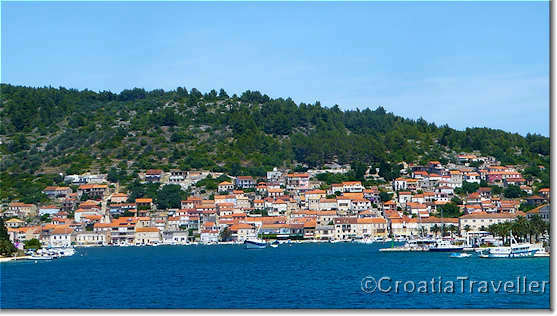 ), Vela Luka is a major entry point to Korcula with a regular schedule of car ferries to Split. When the ferry chugs out though, Vela Luka returns to its main businesses which include fishing and marketing Korcula's famous olive oil. In addition to the health and rehabilitation centre, Kalos, there are a few modest hotels, some local cafes and restaurants and a couple of things to see and do. Vela Luka's most interesting sight is Vela Spila or Great Cave. This vast rocky hideout was clearly inhabited in the Neolithic Period. Despite its antiquity, Vela Luka remained lightly inhabited until the 18th century when its position as a gateway port to Korcula Island brought some prosperity. In the 1960s, the Kalos health centre opened on the Kale cove which had long been known for its medicinal mud deposits and a spring of radon mineral water, supposed to bring health benefits. The fact that Vela Luka is one of Croatia's sunniest spots (2671 sunshine hours per year) has also attracted health-seeking visitors. 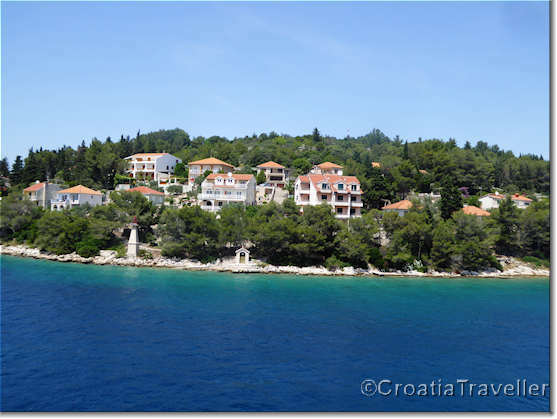 Now, Vela Luka makes a quieter and less expensive alternative to staying in Korcula town. Excursion boats can take you from the harbourside promenade to Osjak and Proizd, the two offshore islets. The hotel scene in Vela Luka is limited. By far the best hotel in town is the four-star Hotel Korkyra. Another good option is the three-star hotel Villa Telenta or the wonderfula Boutique Rooms Kastel Isameli. In addition to apartments, there are several splendid villas in Vela Luka and a fabulous B&B. There are regular daily car ferries and passenger ferries run by Jadrolinija throughout the year to Split. 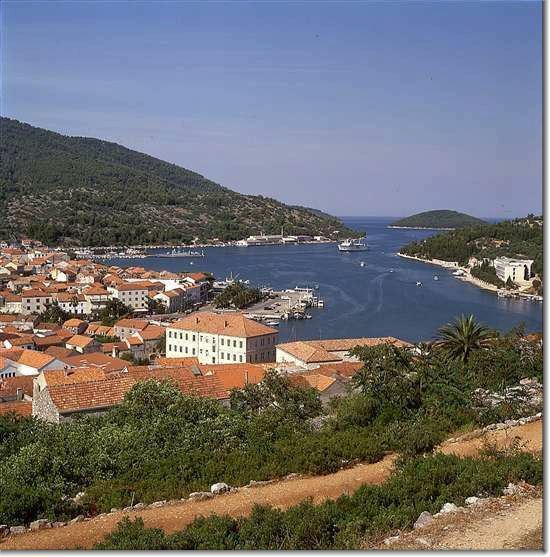 Many go on to Lastovo Island. There are regular buses between Vela Luka and Korcula town, timed to meet the ferries. The bus ride between Vela Luka and Korcula town is an attractive way to get a glimpse of the island. The ride takes about an hour on comfortable buses and climbs through forested hills overlooking the sea. The Vela Luka Tourist Office (tel 020-813 619) is at the town entrance.